The officials said the devices were not rigged like a booby-trapped package bomb that would explode upon opening. They had timers and batteries but never went off. Law enforcement officials were still uncertain whether the devices were poorly designed or never intended to cause physical harm. The officials spoke on condition of anonymity because they were not authorized to discuss the ongoing investigation by name. At the briefing, authorities confirmed that at least some of the packages were distributed through the U.S. mail. They said investigators searching for additional suspicious parcels had not found any during the day. Details about the devices came as the four-day mail-bomb scare widened. 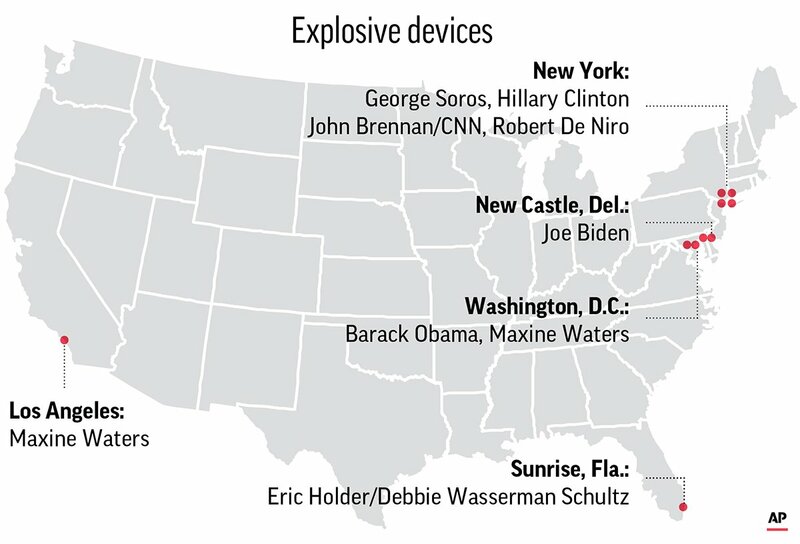 Law enforcement officials seized three more devices Thursday — two addressed to former Vice President Joe Biden and one to actor Robert De Niro — described as similar to the devices sent to former President Barack Obama, Hillary Clinton, CNN and others. The new discoveries brought to 10 the number of suspicious packages targeting Democrats but intercepted by authorities this week. Much was still unanswered about the devices and authorities have said nothing about suspects. 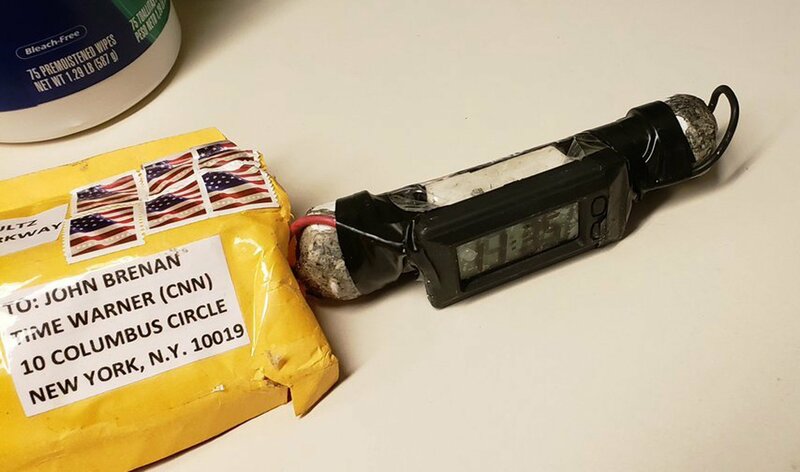 Details suggest only a broad pattern — that the items were packaged in manila envelopes, addressed to prominent Trump critics and carried U.S. postage stamped. Some were discovered in mail processing facilities. Officials said the devices are being examined by technicians at the FBI’s forensic lab in Quantico, Virginia. 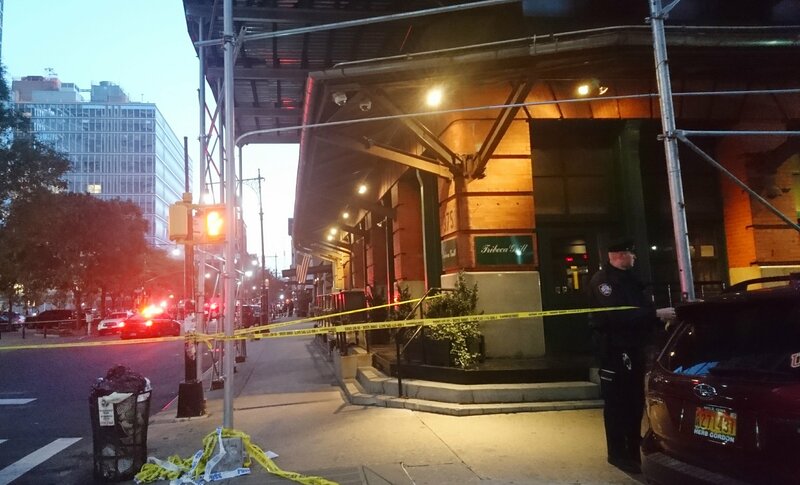 Sisak reported from New York. Associated Press writers Zeke Miller, Laurie Kellman, Colleen Long, Ken Thomas, Jill Colvin and Chad Day in Washington and Jim Mustian, Deepti Hajela and Tom Hays in New York contributed to this report.